Tributes have been paid to a Stevenage doctor who was killed following an ambush by gunmen in Afghanistan. Dr Karen Woo, 36, was one of 10 aid workers killed by insurgents while working for International Assistance Mission (IAM), a non profit-making Christian organisation. It is believed they were executed, while pleading for mercy returning to the capital Kabul after returning from a mission helping youngsters with eye problems. It is believed that Dr Woo was due to fly home to marry security contractor Mark Paddy Smith, a man she had met in Afghanistan, in a ceremony in Chelsea. Her family have been too upset to comment on the tragedy. Her father Tehaun Woo, 67, an engineer, and mother Lynn, 66, a former nurse at Lister Hospital were believed to have been planning the register office wedding this week. Reports suggest that Dr Woo and her colleagues, six Americans, a German doctor and two interpreters, were marched from their vehicles and shot on Friday. It is not known yet whether the atrocity was the work of the Taliban or the actions of robbers on what was thought to be a safe road back to the capital. Only one person, a Muslim in the convoy, is thought to have survived the attack. The Taliban have claimed responsibility for the attack. 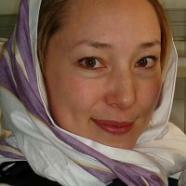 The family of a British doctor killed in Afghanistan have refuted claims that she was a Christian missionary. Dr Karen Woo, 36, was among eight foreign aid workers executed by gunmen in an ambush in Kuran Wa Munjan district of Badakhshan province. The Taliban claimed responsibility for the shootings. A spokesman said the team was killed because they were “preaching Christianity” and “spying for the Americans”. However, in a statement, Dr Woo’s family said: “Her motivation was purely humanitarian. She was a Humanist and had no religious or political agenda. She wanted the world to know there was more than a war going on in Afghanistan, that people were not getting their basic needs met. She wanted the ordinary people of Afghanistan, especially the women and children, to be able to receive healthcare.